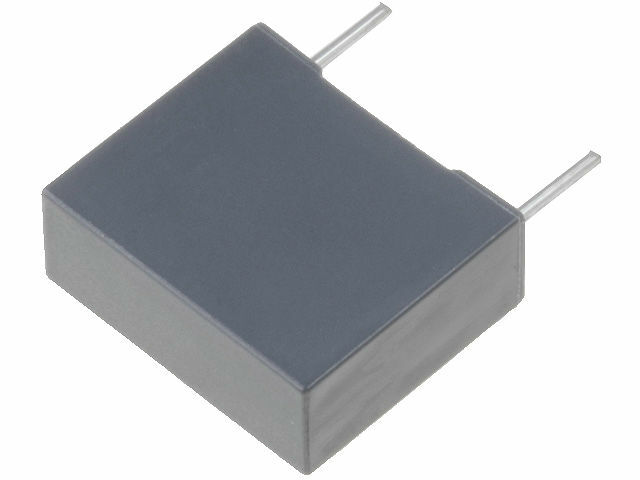 R46 series capacitors are polypropylene, suppression capacitors of class X2. Components of the KEMET production contain a metallized foil bundle impregnated with a self extinguishing resin. The constituent materials are sealed in a plastic enclosure of flammability class UL94V-0. As a suppression element in power supply units. The capacitor is included between the power supply lines.